HeartWatch was founded with the vision of bringing about a new era of advanced computer vision techniques meant to improve everyone’s life and health. 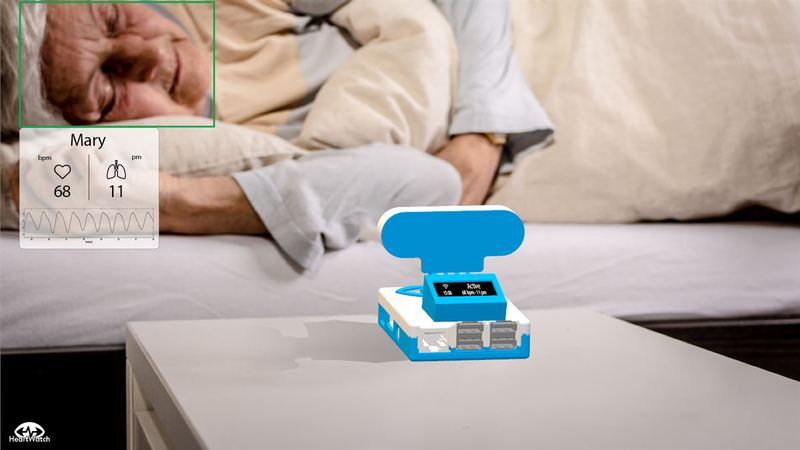 HeartWatch Platform is a contactless solution for continuous monitoring of patients’ health condition. It uses a combination of advanced facial recognition, signal processing and intelligent machine learning analytics to detect early signs of cardiac, respiratory, and movements problems in order to provide life-saving pre-emptive care. Our current first, main, focus is the Long-Term Care market, where we are able to provide contactless health monitoring of elderly patients, without hindering their everyday activities. 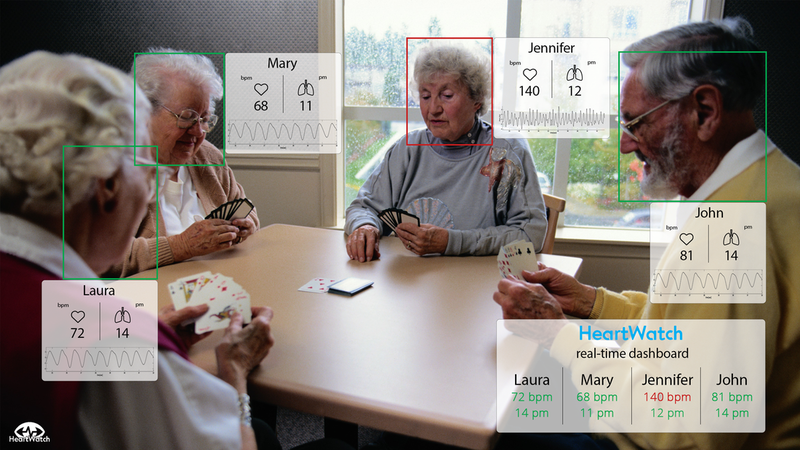 In Long-Term Care settings, patients have the intrinsic need of being monitored continuously but actually, don't want to feel like they are, often because they suffer from dementia or other neurodegenerative diseases. Moreover, current medical tools are invasive. Since similar problems occur at home, our system is suitable also for Home Care monitoring. The true value of the HeartWatch Platform lies in the software and algorithms that the technical team delivers and improves, day by day. Our platform is compatible with any camera and video sensor available, thus allowing a great potential for scaling up fast. The team can count on the support of a strong, young, technical team of engineers from the best universities of Italy. The management (Guido Magrin, CEO, Luca Iozzia, CTO, Roberto Salamina, CMO) can count on the support of several medical and business advisors, who have provided all the experience needed to run the business, since its inception. HeartWatch raised a first seed round from Italian business angels and is always looking for new potential investors and partners, especially to expand its business activities outside of Europe. For further information download the company profile.